Running a successful and popular web portal is not everyone’s cup of tea and this holds equally true for blogs, websites and online stores built with the WordPress. Not only it takes up a lot of your precious development time and efforts, but also it requires you to pay close attention to other ongoing yet crucial factors like content creation, search engine optimization, website security, online marketing, etc. And even after that, you may feel hard to get plenty of traffic and page views to your WordPress site! Given the fact that it is pretty easier to run an already well-established website than starting everything from scratch, many busy webmasters and developers today prefer to buy or inherit a successful WordPress site to achieve their personal goals. However, an important point to note here is that inheriting an existing WordPress site comes with its own bucket load of challenges and responsibilities. Through this blog post, we’ll take a closer look at what all are they and how to tackle them. 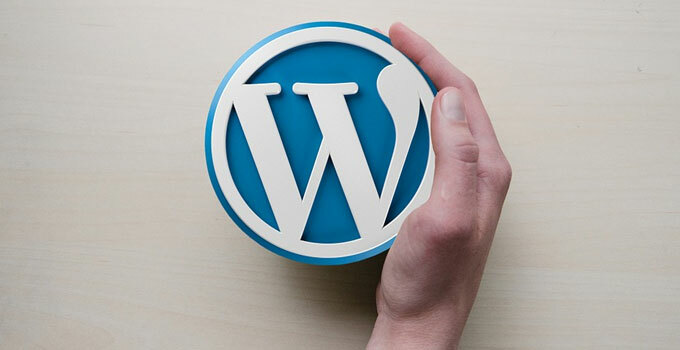 When inheriting a WordPress site, the first and foremost thing you need to do is gather all the information related to usernames and passwords from the old user or developer, including the account details of WordPress admin, web hosting, FTP, CDN, Google Webmaster Tools, domain management, and third party premium themes or plug-ins. This is imperative not only to handle the website properly but also to make the whole site totally owned by you. Change All Admin Passwords and Emails: Being the new owner, you must change all the credentials related to your website (including all contact emails) in order to make sure the previous owner will not have the authority to modify anything on the website in future. To securely store, organize and generate strong passwords, you can use a password management tool like LastPass or 1Password. Update User Roles and Permissions: On an inherited WordPress site, keeping the old user roles and permissions may sometimes lead to various security issues. So carefully analyze which user needs what permissions and assign the appropriate user roles and permissions accordingly. You can try this handy plug-in to easily update the permissions for each user role. This step is not an option but a necessity! Before you start making any modifications on the site, it’s extremely important that you take a full backup of site data. This includes everything from wp-content folder to the database of the website. You can easily perform a backup either through FTP Client FileZilla or a Control Panel available in your web hosting account. Creating a full backup ensures you can always revert back to the original version in case of an accident or failure. Themes and Plug-ins: Check all the themes and plug-ins installed on the website. See whether or not the site is making proper use of a child theme and find out if the active plug-ins are working properly with the most recent version of WordPress. Even if your active theme is up-to-date, don’t forget to test it with the Theme Check plug-in for the deprecated, unsupported or outdated code. Run Security Scans: As various studies have proved that more than 70% of WordPress installations are constant targets of hackers, it’s always a good idea to hunt down any possible intrusions. There are a number of free and paid tools, like Sucuri’s SiteCheck and Wordfence Security plug-in, using which you can check the availability of a virus or malware on the inherited website. Also, look for any suspicious files via FTP or your hosting control panel. Check Performance: The speed performance of a website plays a vital role in determining its ranking in search engine results. Analyze the performance of the inherited website by running its URL through services like Google PageSpeed Insights, Pingdom, or GTmetrix. These tools will not only tell you how fast your website is but also suggest you numerous ways to make it damn faster. Check for Proper Analytics and SEO Integration: Check whether or not there is any analytics code present on the website that you’ve inherited. If not, we highly recommend you setup Google Analytics. Check if the site is properly submitted to Google Webmaster Tools and both the sitemap and the robots.txt file are functioning properly. Set up a Local WordPress Development Environment: Whenever you do any experiments with the inherited website, it’s highly recommended you set up and use the local server. Make a copy of the backup you created and set up a WordPress development environment on your local computer using a tool like WampServer or XAMPP. Don’t forget to change the site’s URL in the local database! Implement Version Control: Version control is arguably the best way to keep the record of all the versions of a project that ever existed. If your website is not already under version control, it is highly recommended that you implement version control for it using GitHub or BitBucket. This way, you can easily revert back to the version of your choice anytime, just in case something goes awry during development. Perform Spring Cleaning: After implementing version control, clean out all the things that you do not need, such as inactive themes and plug-ins, user accounts, etc. This will improve the speed of your website to a great extent. Since some bad plug-ins and themes leave their database tables even after removal, don’t forget to check and optimize your WordPress database. To clean up the database with ease, you can use the WP-Sweep plug-in. Engage The Update Process: When you inherit a WordPress website, there are high chances of WordPress core, themes or plug-ins being severely out of date. If you find so, update each item to the latest version one by one. Start with the WordPress core, following the themes and plug-ins. After each update, check the front-end functionality of the website to ensure things are working as they should. In case something is broken, take note of it and try to fix the update that caused the issue. Finalize the Design: After updating things to the latest versions, check whether the website is as looking and functioning as you expected. If you are using the same theme but got failed to update it to the latest version due to an expired license or any other reason, the older code may create problems. If that is the case, we recommend you either buy a new pre-built theme or get a custom WordPress theme. Now if the inherited website is working properly on the local server, it’s time to bring it online. You do this in two ways: creating a brand-new database or overwriting the existing database on the live server. As many things can go wrong with overwriting the old installation, we suggest you create a new database and then import the latest version of your site from the local server. In addition, don’t forget to make the appropriate changes to your wp-config.php file otherwise you’ll get “Error Establishing a Database Connection” error. If everything goes right, congrats, the website is live again!